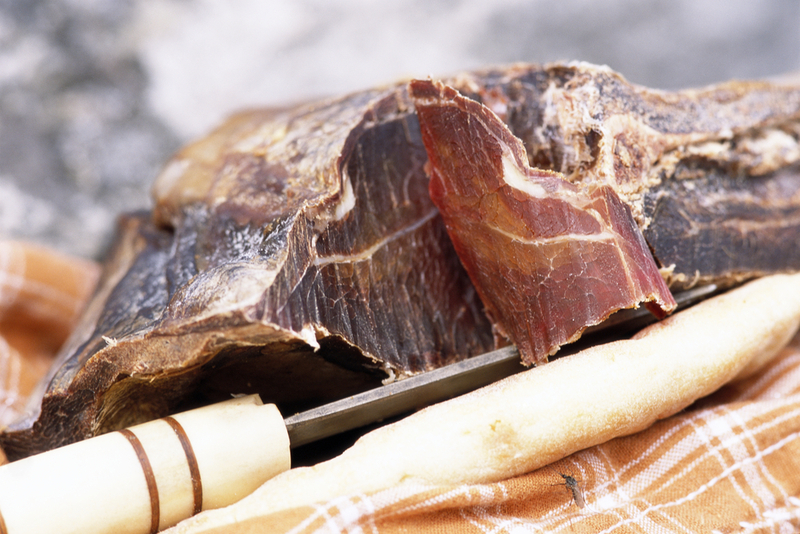 Reindeer meat, or Venison, is very popular amongst the population in Finnmark County, and they eat it all year round. Reindeer can be served as anything from steak, burger, dried and in stews. 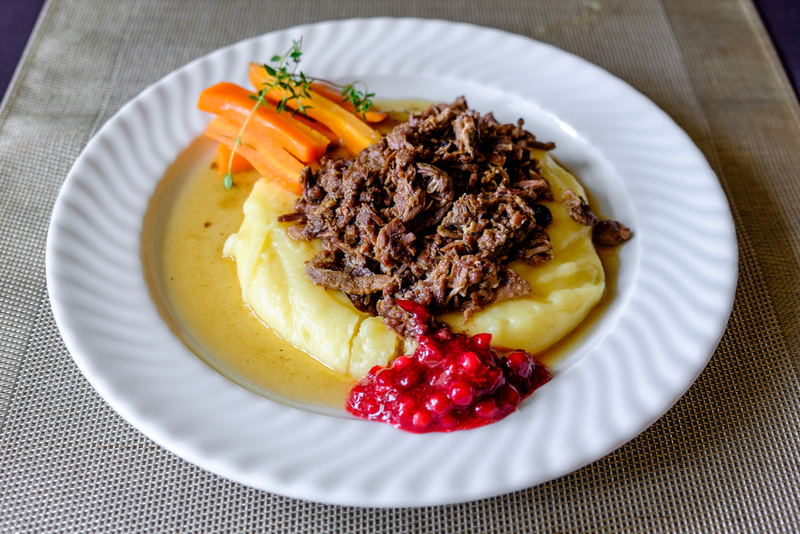 A common dish to be served at a dinnerparty in Finnmark is “Finnbiff” (Sautéed reindeer). Usually steak or the back of the reindeer is used. It is sliced thinly (easier if frozen rather than only partially thawed), fried in fat (traditionally in reindeer fat, but butter and oil are more common nowadays), spiced with black pepper and salt, and finally some water, and maybe cream, is added and cooked until tender. Some people also chop up vegetables like carrots, potatoes, onion and mushrooms and cook it with the meat. The dish is served with potatoes/mashed potatoes and lingonberry jam or, more traditionally, with raw lingonberries mashed with sugar. In Kirkenes most stores sell frozen and dried reindeer meat. You can also do as many locals and drive to Näätämö in Finland (47 min from Kirkenes Town) and buy reindeer meat. Dried reindeer meat is great to bring along in your backpack as a snack when you are exploring the area, and don’t be afraid to try dried reindeer heart. Click here to see where you can eat prepared reindeer meat.